The Women's Buying Network is comprised of experienced, knowledgeable and trustworthy women whose goal is to empower and support customers during the car-buying process. I am dedicated to providing every guest with the most authentic buying experience. Knowing that I made the car buying a Happy experience for my customers makes me Happy. I do my best every day to provide a comfortable environment, a memorable moment and great pricing. Buying a car should not just be easy but fun. In an industry where typically only 5% of women serve on a dealership sales force, the DGDG Women's Buying Network offers a substantial team of professional women in sales, finance, management, service and the DGDG Buy Center. Work with our DGDG Women's Buying Network Ambassadors who have access to 17 brands and over 5,000 vehicles. A trusted family-owned resource: we're here to stand behind you for the lifetime of your vehicle. Feel at ease while buying a car in a friendly and transparent environment. Work directly with women who understand and listen to your concerns. Build connections rather than just engage in a business transaction. A network powered by the largest, most progressive & tech-savvy automotive group in Northern California. If you have any questions about anything automotive - from what types of vehicle and brands best suit your needs to your best financing options - please feel free to contact a DGDG Women's Buying Network Ambassador. We will get back to you promptly. 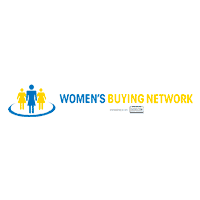 Women's Buying Network	, .